What are some of the most common questions regarding testicles? How can I develop low hanging balls? What causes them to become enlarged? Why are they different sized? 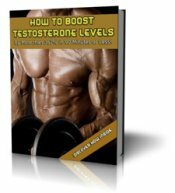 How can I develop huge testicles? You can keep them healthy by.. The testes produce sperm from the onset of puberty, nonstop, until a man dies. Your sperm develops from germ cells inside the testes, which take up to 75 days to fully mature. The testes external location leaves them six degrees cooler than the internal organs, creating the ideal temperature for maximum sperm production.. Body Odor & Sexual Attraction! Is Masturbation Healthy? Compulsive Masturbating, Motivation & Focus!